When it comes to drugstore beauty products, I’m game for trying anything and everything. It can be pretty hit or miss, but when you find a hit, you have to tell your blog readers about it. 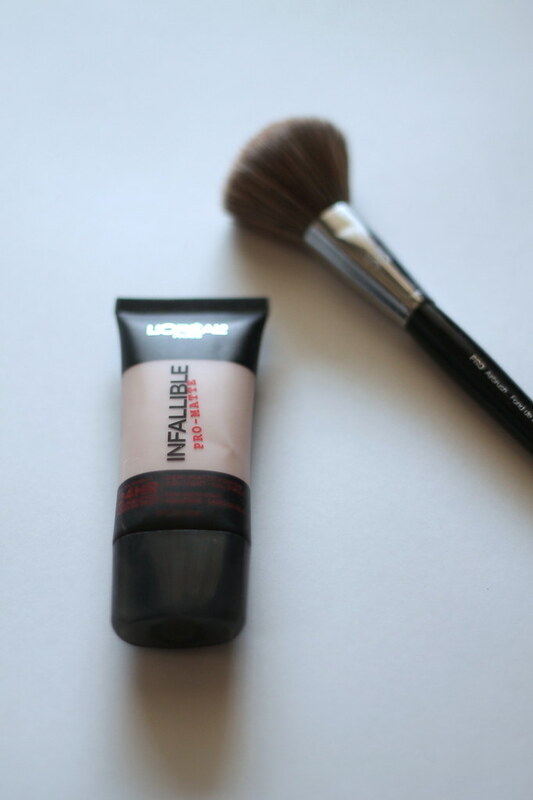 Meet L’Oreal’s Infallible Pro-Matte Foundation: a 24-hour demi-matte finish, high-coverage foundation. This little guy is powerful; a little goes a long way and really stays all day. As a woman with oily-combination skin, this foundation is going to be a lifesaver come humidity. Even bloggers who only use luminous foundation found this foundation to be perfect for their skin. The matching powder and setting spray are equally as good. I’m glad to see the drugstore bringing their a-game!